We're so happy to find out that a friend made it as a finalist at Swatch's Tiger Art Contest. 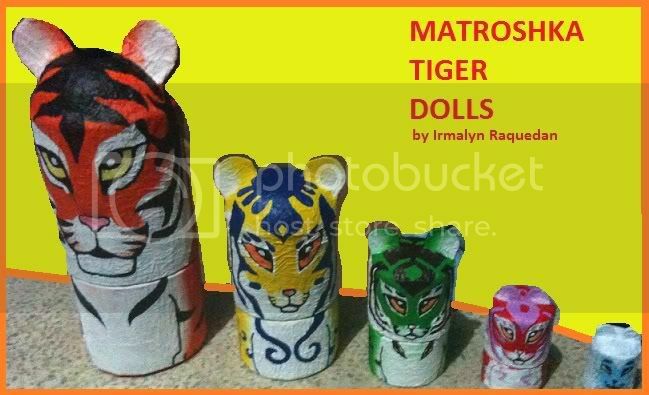 Irmalyn Raquedan's inspiration for her artwork is the Russian matroshka dolls. She used recycled materials specifically the lid from a fastfood chain's plastic cups. On April 8, the Swatch Tiger Art Exhibit will open at the Swatch Store in SM Megamall. The winners of the Swatch Tiger Art Contest will be awarded and special “Tiger” personalities will grace the event. If you want a hand on Swatch's Tiger watch (retails for $70), click here.